going through a supreme form. Bangladesh tormented the Caribbean team by five wickets in the opening encounter to go 1-0 up in the series. The hosts will now aim to seal the series, when they welcome West Indies in the second ODI at the Shere Bangla National Stadium in Dhaka on Tuesday, December 11. Bangladesh and West Indies have played 30 completed one-day internationals against each other with the Windies leading 20-10. In their most recent clash on December 9, Bangladesh got the better of the Windies to win the opening ODI at the same venue. 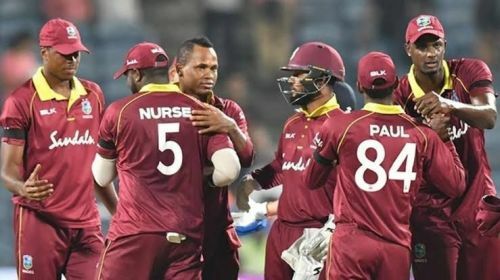 After being asked to bowl, Bangladesh restricted the Windies to the sub-par total of 195 in their quota of 50 overs, then overhauled the target within 36 overs to win the match by five wickets. Bangladesh are riding high on confidence at the moment and seems unstoppable against a lowly West Indies attack. Mushfiqur Rahim was the top performer with an unbeaten half-century, while Liton Das too looked good in his innings of 41. These two will once again be main threats for Caribbeans. Apart from them, they will also need a strong contribution from Tamim Iqbal. The opener didn't have a favorable comeback, as he managed just 12 runs in 24 balls and he will be eager to rectify that in next outing. Mustafizur Rahman and skipper Mashrafe Mortaza took three wickets each, and the pace duo is expected to take some crucial breakthroughs upfront. Mehidy Hasan (1/30) and Shakib Al Hasan (1/36) were quite economical in first ODI and are likely to make things tough in the middle overs. Rubel Hossain was quite expensive last time out, giving away 61 runs in his quota of ten overs and the skipper will need him to rectify that in next outing. Mashrafe Mortaza (C), Mustafizur Rahman, Rubel Hossain, Tamim Iqbal, Liton Das, Imrul Kayes, Mushfiqur Rahim, Shakib Al Hasan, Soumya Sarkar, Mahmudullah and Mehidy Hasan. West Indies are clueless against Tigers attack. The Windies have not been able to deliver so far and lost all the three games they have played on this tour. Now they are on the verge of another series defeat and on the Asian tour and find themselves in a must-win situation, in order to keep themselves afloat in the series. Shai Hope scored 43 in first ODI against the Tigers and it will be crucial that he along with Kieran Powell lay down a strong start. While Darren Bravo and Marlon Samuels showed some signs of revival and the team will need to come out thrashing in second ODI and get team towards a decent total. Shimron Hetmyer was the leading run-getter in the preceding Test series and he will take the responsibility to get the team through in case of early jolts. Roston Chase was the pick of the lot in the previous game with figures of 2-47 from nine overs and the team will want the off-spinner to replicate his show on Tuesday. Kemar Roach and Devendra Bishoo are two experienced campaigners in the side and they will look to exploit the slowness of the Dhaka pitch and trouble the Tigers with their variations. Rovman Powell (C), Roston Chase, Keemo Paul, Kemar Roach, Devendra Bishoo, Oshane Thomas, Shai Hope, Darren Bravo, Marlon Samuels, Shimron Hetmyer and Kieran Powell.